Ever since it burst on the scene the bungalow has been an immensely popular style of architecture. You won’t find it listed in many books on architecture though because it is not a true architectural style like the Colonial Revival, Queen Anne Victorian, or its most closely related cousin the American Craftsman. The bungalow is a simple everyman’s house. Nothing too grand or big. No ornate gingerbread trim with extravagant 10-color paint schemes. 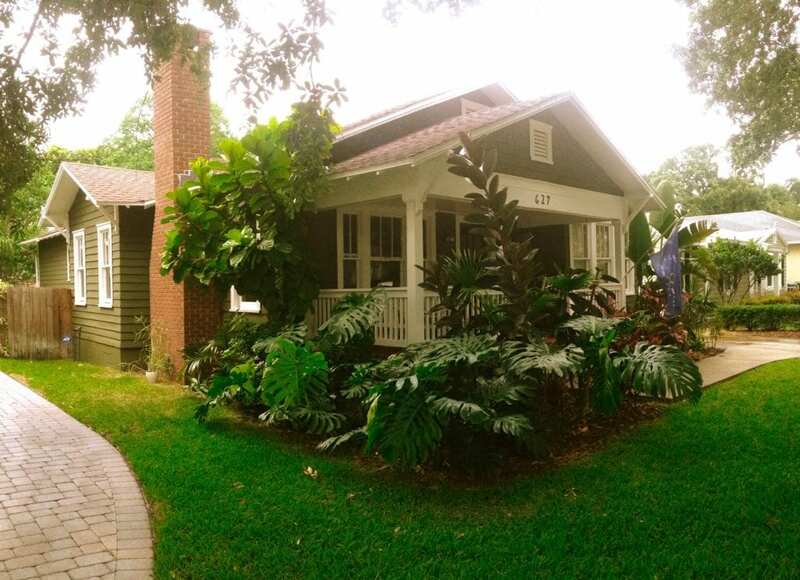 Of all the historic home styles it is one of the most unassuming styles. Despite all this it remains one of the most desired homes even today, more than 100 years since it first arrived on the scene. Maybe it’s the cozy cottage like feel or the definite sense of Americana they evoke. Either way the bungalow is America’s favorite house. The next time you’re watching a homeowners insurance commercial pay attention and tell me if they show bungalows or modern houses more. The bungalow says home and family and advertisers know it! Do You Have a Bungalow? Bungalow’s are found in almost every city and town around the country and in many parts of the world. But what is a bungalow exactly? There isn’t a hard and fast definition of this style since bungalows can take on the features of many different styles or none at all, but there are a few things that truly make a bungalow a bungalow. Small Size – Bungalows are almost always 1 or 1 1/2 stories in height. A 2 or 3-story house does not qualify for bungalow status. Bungalows are usually smaller homes in terms of total square footage. When you get upwards of 2,500 SF you begin to loose the quaintness that is so typical of a bungalow. Prominent Front Porch – The front porch is a major part of almost every bungalow. Almost always covered, the porch can wrap around to one side but usually it is not a full wrap around porch. Low Slope Roof – This isn’t found on every bungalow, but it is on most. A steeply pitched roof is more typical on Folk Victorians or Gothic Revivals. Quality Woodwork – Some bungalows have beautifully finished quarter-sawn white oak woodwork while others may have more simplistic designs. Either way the bungalow was about a return to nature and natural materials. So, varnished interior woodwork and moldings with simple, strong design aesthetics are very common. Most bungalows across America aren’t the grand Green & Green style Craftsmans of the early 20th century. They are modest homes made by local builders and craftsmen looking for a home to fit their family’s needs. The term vernacular, when used to describe architecture, means a home built for domestic use and functionality rather than beholden to a particular architectural style. These homes were built with local materials using locally know methods of construction, and that’s what makes these homes so incredibly unique! Vernacular bungalows are the essence of the American dream home. Uniquely tailored to each region they speak volumes about their original occupants. And if you pay attention to their details you can still hear the stories they tell about the times and people who built them all those years ago. The trick is learning to listen!